You're eight years old, at your first away match supporting Liverpool, they've won the game and the players are heading over to the visiting end to celebrate. There can be few better feelings for a young Red. 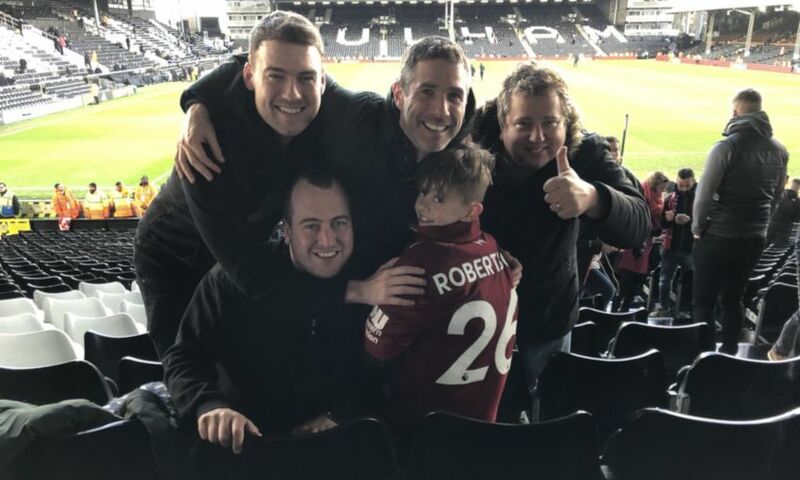 But at Craven Cottage last Sunday, just such an experience changed from memorable to unforgettable for Ben Forbes – courtesy of Andy Robertson. Having cheered Jürgen Klopp’s side on to a 2-1 victory alongside dad Michael, the youngster allowed himself to dream of a shared moment with one of his heroes as they left the pitch past the away section. There was a near miss with James Milner, the No.7 picking out another grateful travelling fan to receive the jersey in which he’d netted the winning goal. And then Robertson began a beeline to Ben with his own shirt. “It was his first ever away game. That’s a special occasion in itself,” his dad tells Liverpoolfc.com. “We were around row 10 and when it got to injury time, we wandered down to the front; the full-time whistle went and I stuck him on my shoulders and was waving my arms to get their attention. “Milner came over first and gave his shirt to a kid a few feet down from us – fair enough. 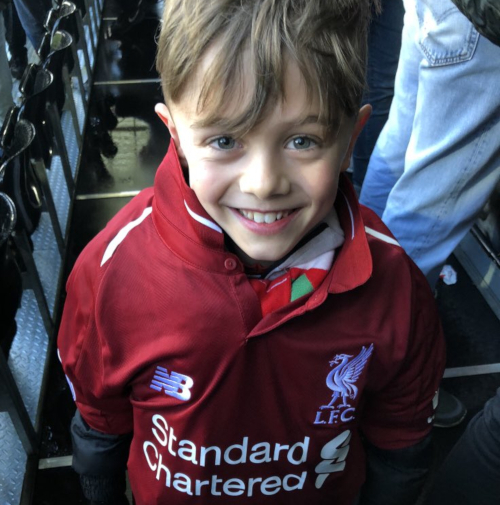 With Michael already set to attend the Premier League fixture, eventually won through goals by Sadio Mane and Milner to lift Liverpool back to the summit, a child’s ticket became available to him on the eve of the game. And just for good measure on the fortune front, Ben’s own team’s match on Sunday morning was cancelled. So, off he went to Fulham. By Monday, with footage and pictures of Robertson’s gesture having featured across social media, he was the talk of the playground. “Before we got through the school gates he had already shown three kids. All of the other kids were so impressed by it,” explains Michael. “Kids were asking to get their pictures taken with it, so it spread positivity throughout the school. When players go out of their way to do something like that, it’s magical for my little boy but it spreads beyond that. “It makes a huge difference. There can be this image of multi-millionaire footballers being distant from the fans, but you don’t really get that from Liverpool players. “When I’ve seen interviews with Robertson, it does seem like he is really in tune with the fans. It means a huge amount; for them it’s probably a small gesture but for a kid like Ben, and all kids – who idolise the players – it just makes it all worthwhile. It was all a far cry from Ben’s earliest match-going form, when he proved something of a jinx at Anfield in his first steps of a family tradition. “My dad used to take me and I’ve got two little boys now – Ben is the oldest and Jake is five. I’ve been taking Ben to pretty much every home game for the last two-and-a-half seasons,” says Michael. That connection between fans and players has been at the foundation of Liverpool’s push for silverware in the past two campaigns. A thrilling run to the Champions League final a year ago has been followed by a serious tilt at the Premier League title this term, with a European Cup last-eight tie against FC Porto to come next month too. And while Robertson was the architect of Ben’s special moment, the fellow Reds supporters flanking him added an extra, touching flourish. 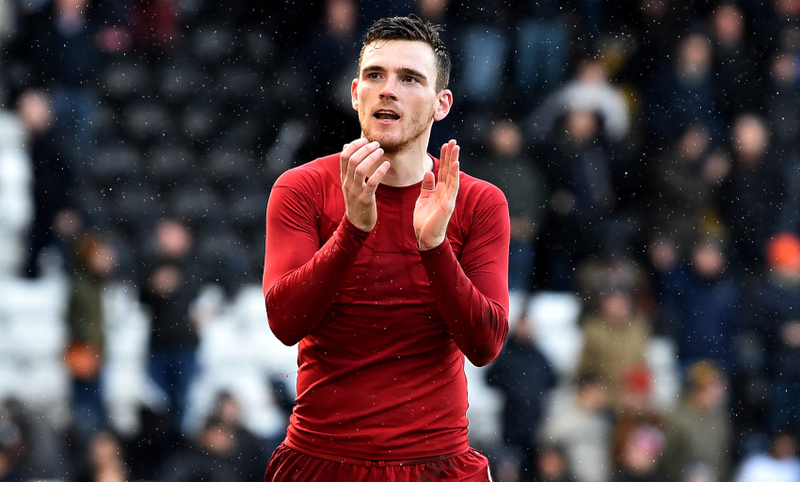 “All the other fans around were fantastic with him as well; it wasn’t just what Robertson did, which was obviously amazing, it was the reaction of all the other fans in the away end,” reflects Michael. “They were all absolutely delighted for him, it felt like a real community. There wasn’t any jealousy that he’d been given it – everybody was made up for him.